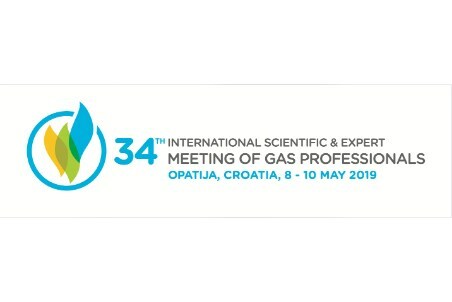 Croatian Gas Center Ltd. and Croatian Gas Association, member of the International Gas Union (IGU), is inviting you to present a scientific or technical paper and thereby contribute to the success of the 34th International Scientific & Expert Meeting of Gas Professionals, which will be held from 8 - 10 May 2019 in the Congress Centre of the Grand Hotel Adriatic, in Opatija, Croatia. The deadline for paper submissions is now 15 January 2019. SUBMIT YOUR ABSTRACT BY JANUARY 15th. For all the inquiries regarding the event please contact Croatian Gas Center Ltd by e-mail or phone +385 1 6189 590.